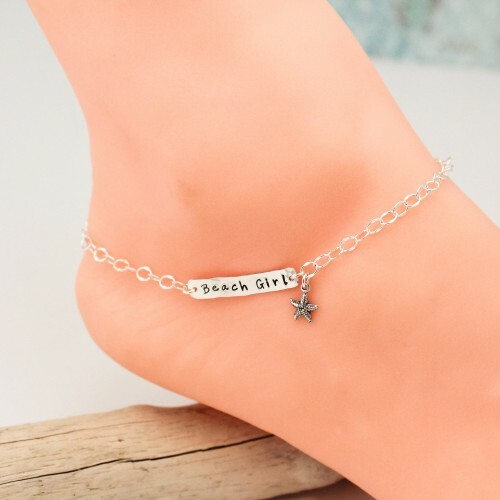 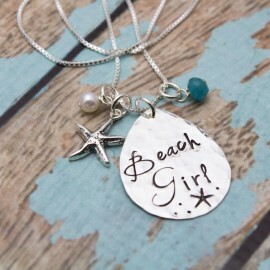 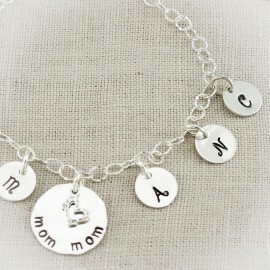 Beautiful delicate but sturdy anklet with a bar tag stamped with "beach girl" and a cute sterling silver starfish charm dangling on the side. 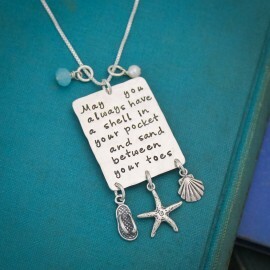 Created with sterling silver cable chain finished with a sterling silver lobster clasp. 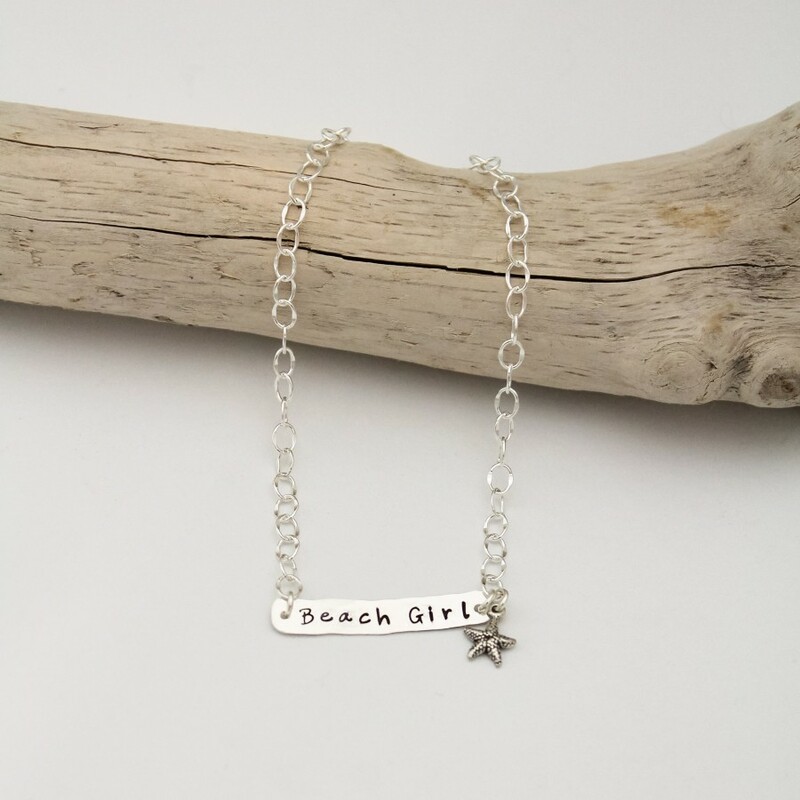 The bar can be personalized with a name or word if you don't want "beach girl" on it. 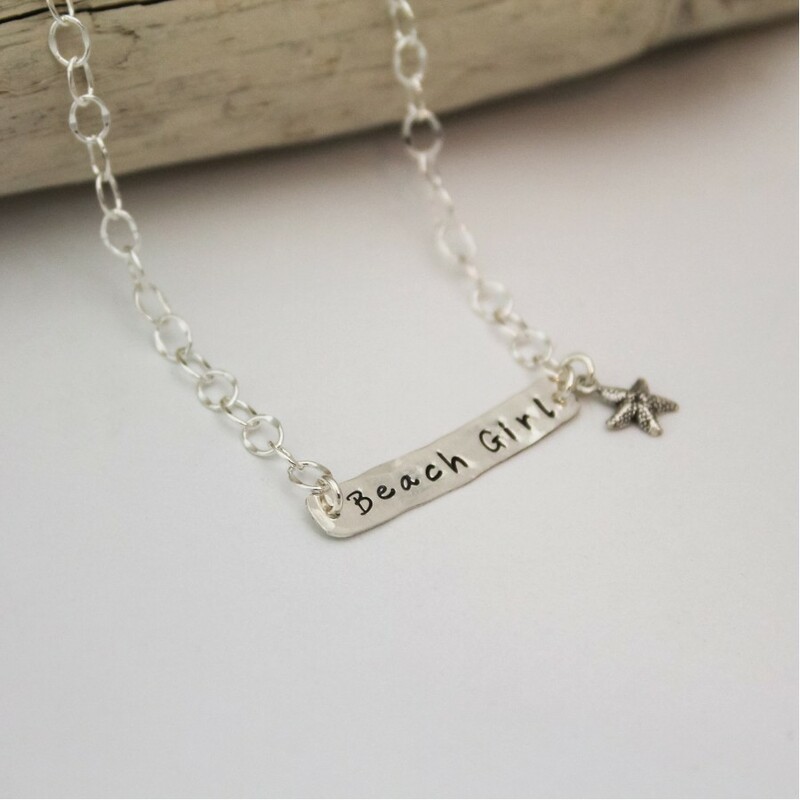 Perfect for beach weddings and beach lovers.